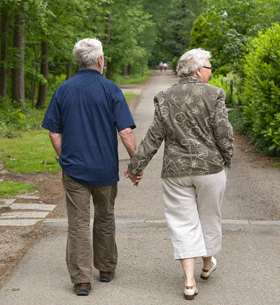 Do you need some direction dealing with the needs of an aging relative? Aynsley Group eldercare consultants provide practical advice through personal consultation — designed to empower you with the knowledge you need to recognize the issues and make and implement informed decisions. If you answered YES to one or more of these, the warning signs are there! The most important step you can take is to direct your focus to the future - planning ahead. Delaying or avoiding the inevitable is both undesirable and risky. Your parent or relative WILL grow older, and his/her needs WILL intensify as physical and mental abilities decline. Our goal is to help you take control of the situation before it controls you. Our services are individualized - we don't try to fit your situation into a prepackaged scenario. We work with you, appropriate family members, and other professionals when required. Because our services are provided on a fee-for-service basis, we have no financial affiliation or bias for/against any of the resources that we might identify. Our first contact will likely be by telephone, followed by a person-to-person meeting. To allow for the least amount of disruption to your routine, we can meet with you in your office, your home, or at another mutually acceptable location. The time required for the consultation will depend on the complexity of your relative’s situation.